We are Deaf and Hard of Hearing Clubs Association of Slovenia. Deaf, hard of hearing people, deaf-blind and cochlear implant users of Slovenia are joint in the Deaf and Hard of Hearing Clubs Association of Slovenia (acronym ZDGNS) – a non-governmental expert organization that endeavours for equal status and the rights of deaf, hard of hearing persons, deaf-blind and cochlear implant users. It collaborates with competent govermental agencies and bodies, contributing with its motions, remarks, admonitions, and opinions to relevant discussions. Fundamental scope of the Association is to create conditions for full inclusion of deaf and hard of hearing persons in daily job, working environment, and social life. ZDGNS is an ordinary member of the International Hard of Hearing Organization (IFHOH), the European Federation of Hard of Hearing (EFHOH) and other international bodies. ZDGNS is an umbrella organization uniting 13 inter-communal member clubs. It is the executor of numerous special social programmes at the state level as well as several social programmes at the local level that are performed by the clubs of persons suffering from this particular category of disabilities. According to the Mercer world survey, it’s one of the safest cities in the world. Approximately 25 km away from the Airport. 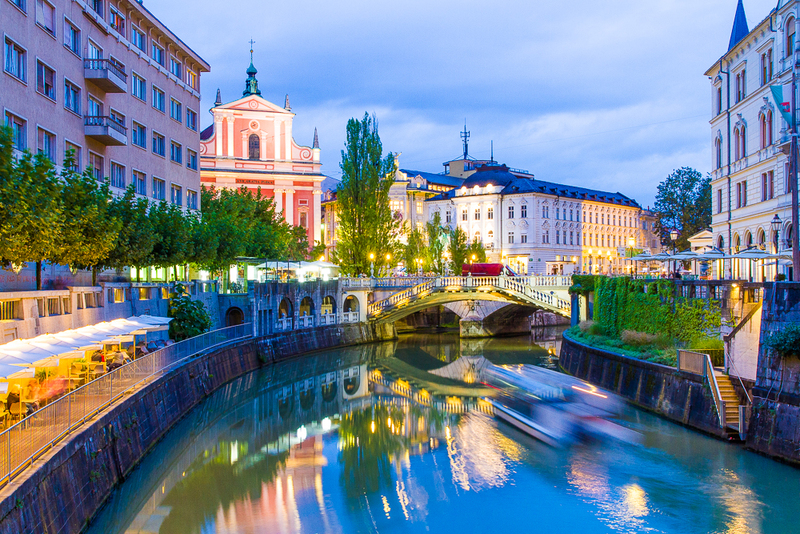 Ljubljana is the capital and largest city of Slovenia, one of the most charming and walkable city . Slovenia uses the Euro as its currency.